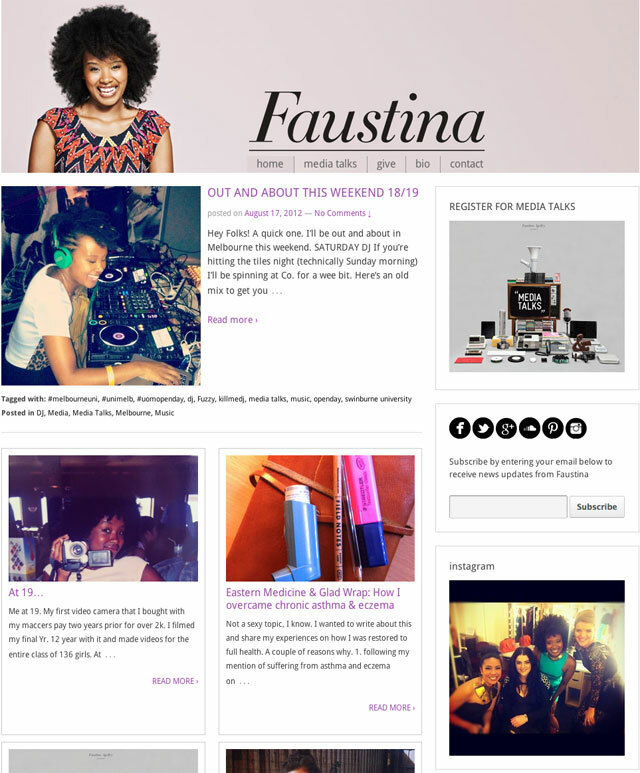 Faustina Agolley is an Australian television presenter best known for her role as the host of long running Australian music program Video Hits on Channel 10. We put together a responsive website built with WordPress for her. Using a combination of jQuery, CSS, CSS media queries, WordPress plugins and a custom theme, we created a site that scales to suit the screen size of the device, enabling the content to display well whether the user is using a mobile device or sitting at a computer.